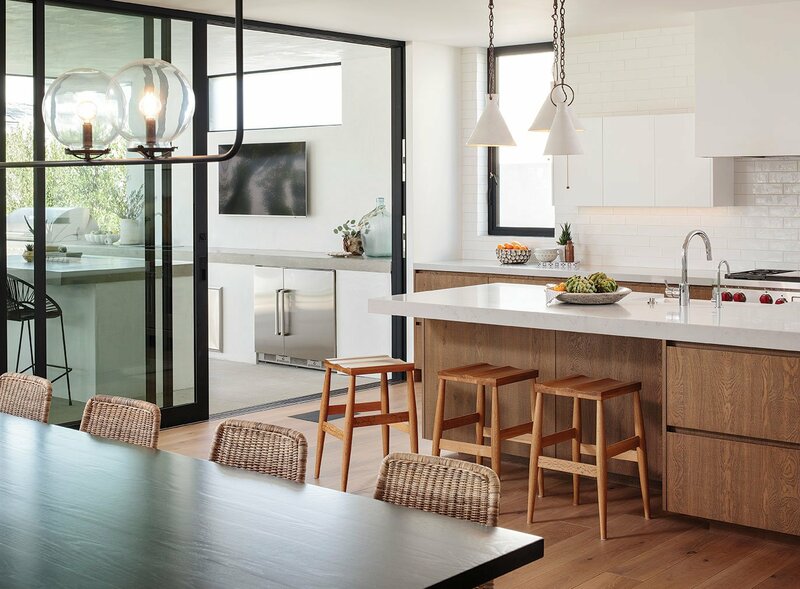 Homeowner Erica DeLorme stuck to a neutral palette in her home’s recent rebuild (working with interior designer Vanessa Schimmelpfennig and architect Trace Wilson of Materia), dominated by black, white and wood tones. It’s warm, inviting and full of personality. Neutral tones don’t have to be understated or underwhelming, and the trick lies in how you approach the task. She offers these tips if you’re thinking about shifting into neutrals. 2. Texture is everything. Add cozy blankets to the sofa, pillows that create dimension and rugs that soften a room. 3. Add natural fibers. Accessories or furniture with natural woven fibers help create an organic feel. Try a woven basket in the corner or a woven tray on a table. 4. Plant something. Greenery is a great way to add color to a neutral room and has the added benefit of naturally purifying the air. Not much of a houseplant fan? Fill vases with fresh seasonal greens. 5. Find ways to add unexpected elements. 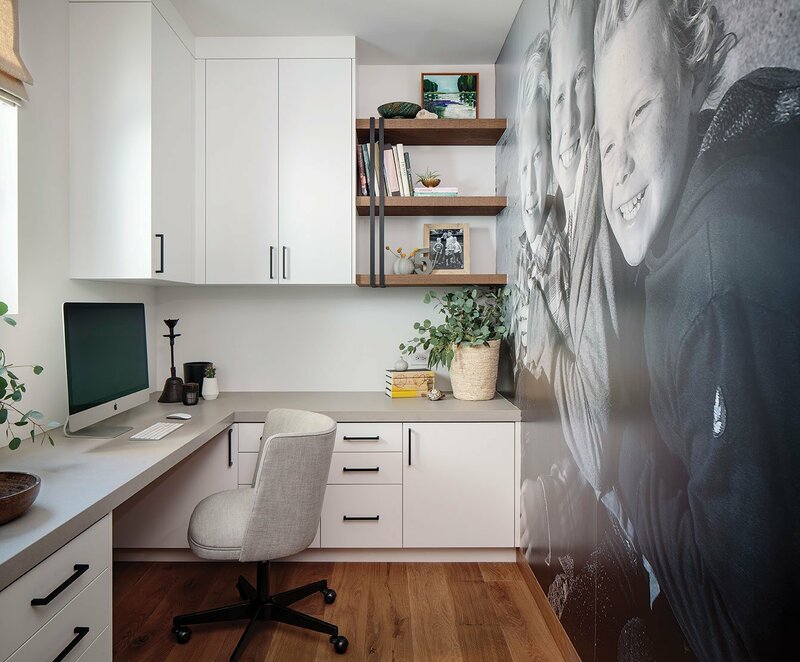 “In our home, I had the date it was built etched into the fireplace and a photo of my three kids turned into wallpaper for my home office,” Erica explains. 6. Hit vintage shops. 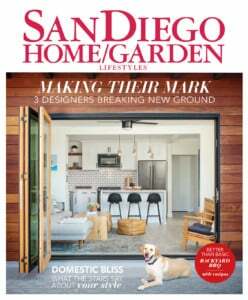 “One of the most fun ways to bring interest to a room is to add vintage accessories, art or an accent piece of furniture,” Erica says. 7. Select great art. Art instantly adds color, texture and personality to a room. 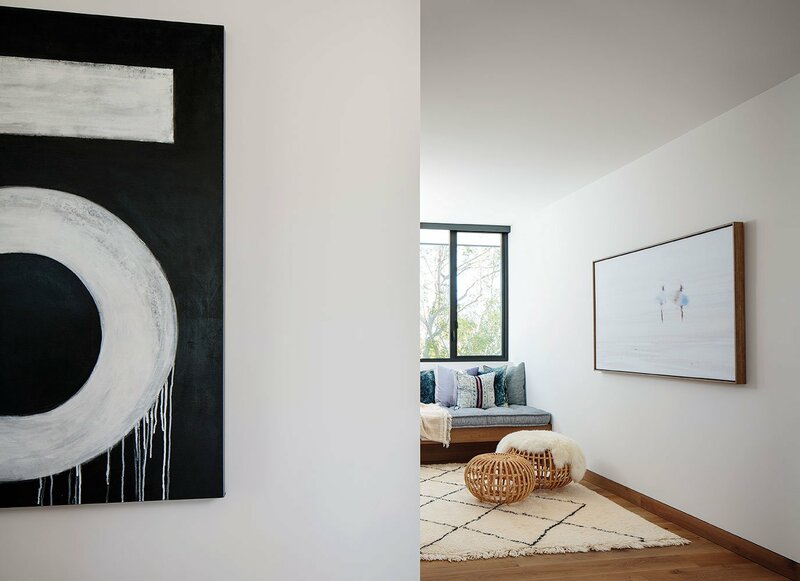 “I like mixing various types of art in a room from found three-dimensional pieces and original paintings to framed prints and personal photos,” she says. Read more about Erica DeLorme’s Cardiff home in our March issue home feature, Neutral Territory. 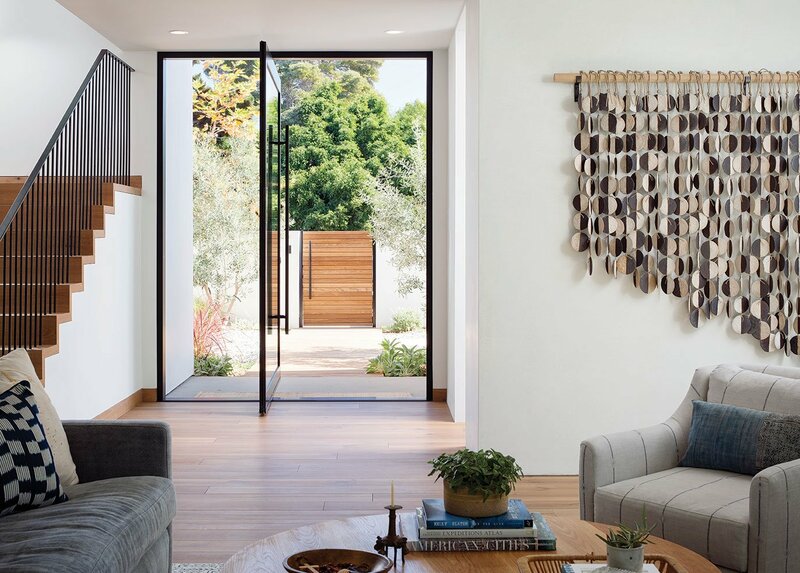 In addition to being a striking neutral color inspiration, the home was built to support a busy family of five with a naturally indoor-outdoor lifestyle.